CHICAGO (WLS) -- Should it be OK to breastfeed you baby in public? One brave model is challenging the established idea that mothers must go to a private space to nurse their babies. Australian supermodel Nicole Trunfio captured the attention of the world after posting the subscriber cover of ELLE Australia's June 2015 issue on her Facebook page, which features her breastfeeding her son Zion. 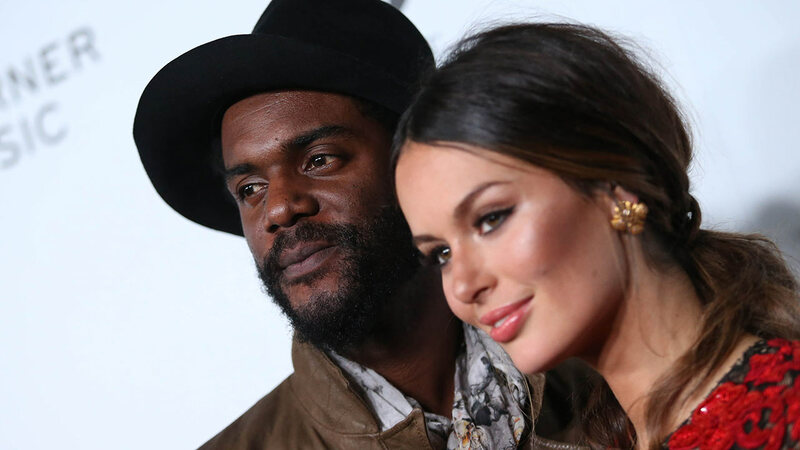 Zion is Trunfio's child with fiance American musician Gary Clark, Jr.
ELLE's editor-in-chief Justine Cullen wrote on the magazine's website that the cover was not planned. "This wasn't a contrived situation," she said. "Zion needed a feed, Nicole gave it to him, and when we saw how beautiful they looked we simply moved her onto the set. It was a completely natural moment that resulted in a powerful picture." Reaction to the image was immediate and strongly positive. TIME published comments from Trunfio's Instagram feed calling the image empowering and beautiful and supporting her positive statements about breastfeeding. US Magazine called her "a mom on a mission" and praised Trunfio for making an attempt "to counter the stigma against breastfeeding." The Sydney Morning Herald noted this is the first time an Australian magazine has published an image of a breastfeeding mother, and noted it's a timely move "considering the recent debate surrounding the vocal #freethenipple campaign and the prehistoric notion still held by breakfast TV presented David Koch that 'nursing mothers need to assess the different public arenas they feed in and, if necessary, be more modest.'"